More conjugating -er and -ir verbs. 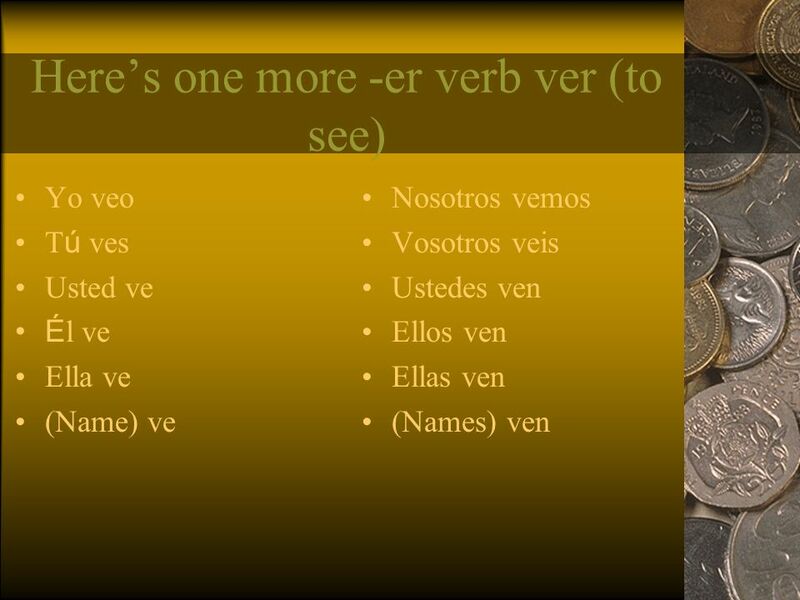 Conjugating -er and-ir verbs uses the same format as -ar verbs Write down the infinitive Remove the ending Write down. 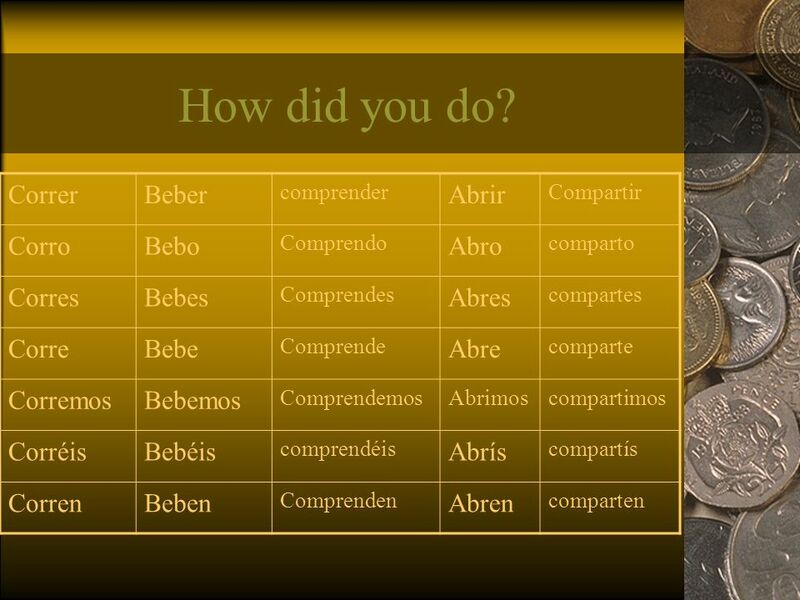 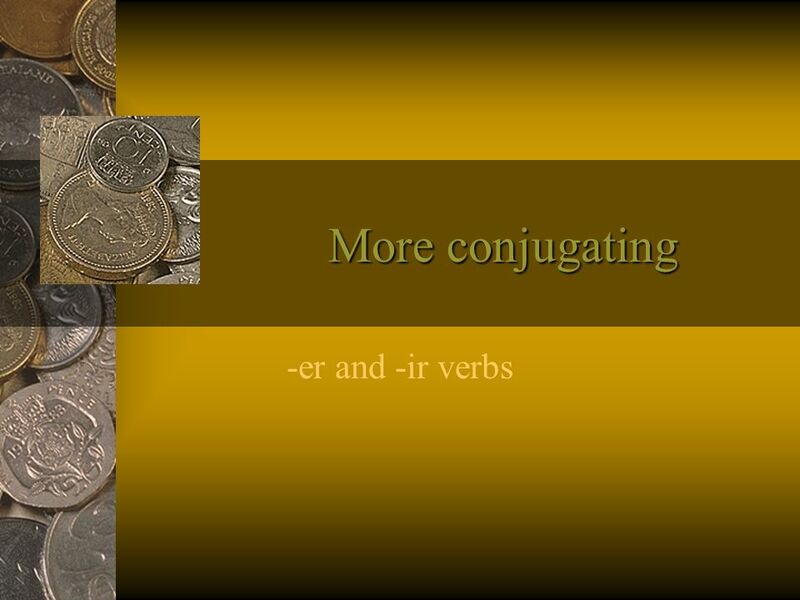 Descargar ppt "More conjugating -er and -ir verbs. 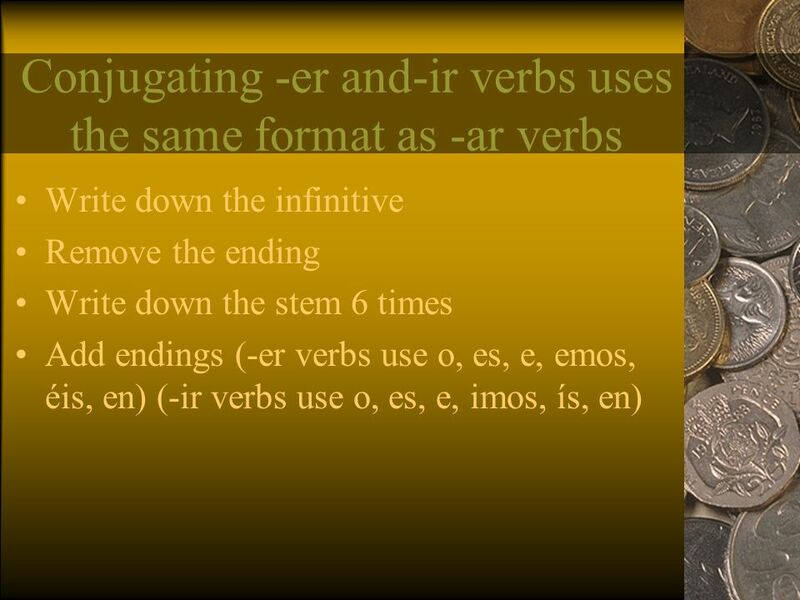 Conjugating -er and-ir verbs uses the same format as -ar verbs Write down the infinitive Remove the ending Write down." 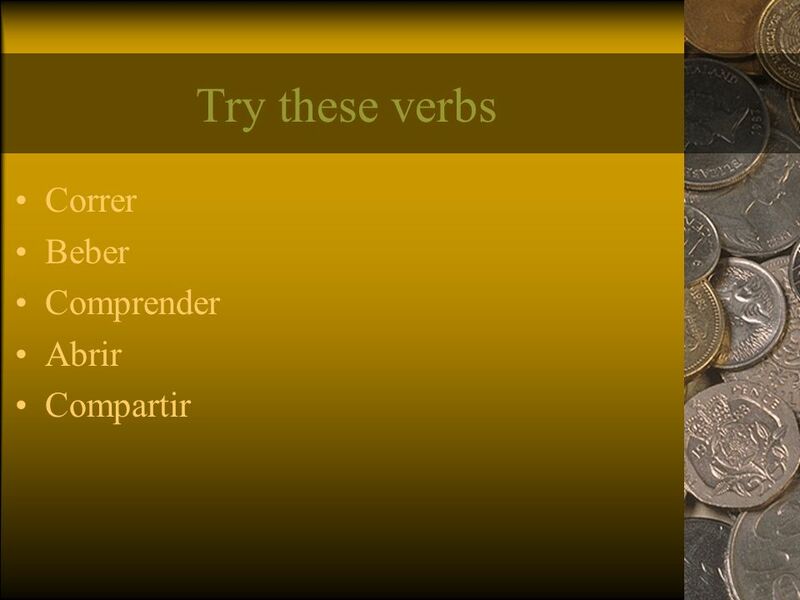 Conjugating regular AR, ER & IR Verbs in the present tense Spanish One ch.3A.